After a thrilling battle in pre-qualifying last fall to determine the NEO Endurance Series grid, it was clear that despite its demotion from the top prototype class, the P2s could still offer plenty of excitement this season. Six months later, after numerous late-race battles for the lead, favorites falling out early, and rookie teams sweeping the victories in the first five races, that prediction was clearly on the mark. The HPD may be the oldest car in the NEO field, but it has lost none of its luster in the realm of competition. 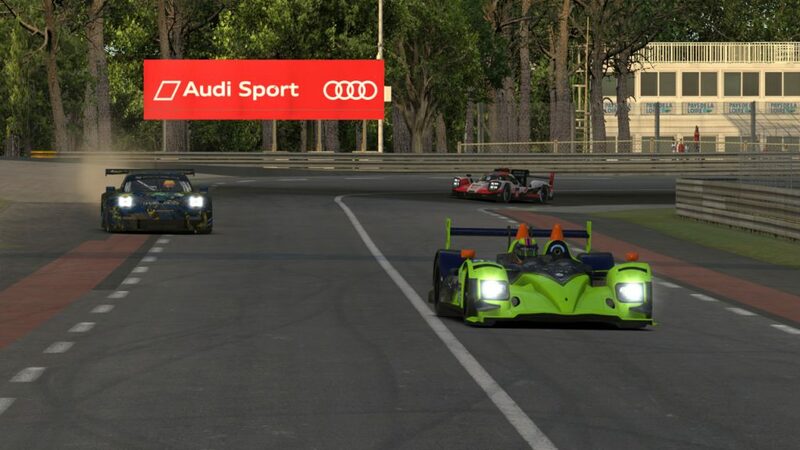 The final chapters of the season were written last weekend in the RaceSpot 24 Hours of Le Mans, and they helped provide some closure to the season-long storylines within the P2 class. The main one, of course, was the championship battle that saw at least three teams enter the race with reasonable hopes of coming out on top. Two of them started on the front row together, and they wasted no time to start fighting for the top spot, which was their best hope of earning the title. TNT Racing and points leader AVA Vervatic race through Tertre Rouge. 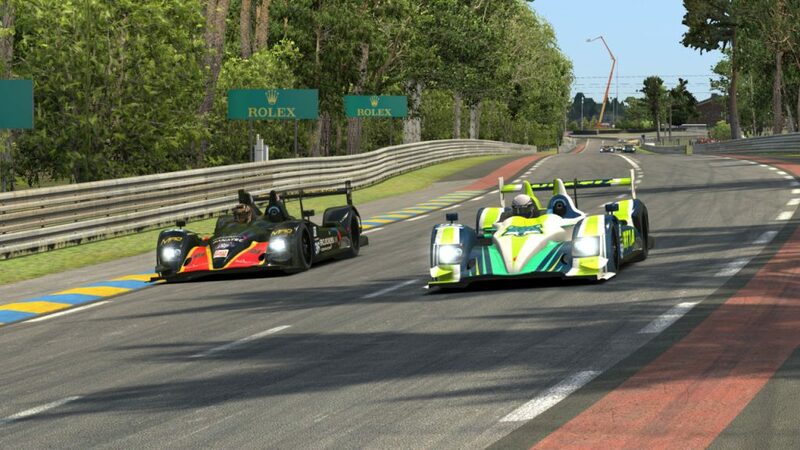 Heading down the Mulsanne straight on the first lap, Ronny Nunez from Torque Freak Racing overtook Apex Racing Team’s Yohann Harth for the lead while Fabrice Cornelis of AVA Vervatic, the points leaders entering the race, ran in a safe but steady third place. For polesitter Harth, it was the beginning of the end of Apex’s chances. Front-end damage in the opening laps proved to be an aerodynamic liability, and without the top speed to keep up down the long Le Mans straightaways, the #60 car had dropped to eighth by the end of the first stint, which was followed by a lengthy pit stop to make repairs. Their fall from second place promoted a new contender up the order. IRDK Endurance moved from sixth on the grid to second by the end of lap 3 at the hands of Marcello Maio. Throughout the second stint, he found himself in a close fight with Cornelis, although it was happening more than a dozen seconds behind the leader. Indeed, it was an uncharacteristic race for Torque Freak, but in a good way. As long ago as pre-qualifying, they seemed to come from nowhere to surface at the front of the field late in the race and steal a podium. At Le Mans, though, they were fully in control from the get-go. During the first few hours, they lost the lead only during pit stops, as Race Clutch stretched their fuel a bit longer each time and spent several laps out front. Torque Freak hops the kerbs in the Ford chicane. Eventually, Torque Freak’s pace was even able to overcome that gap, and from lap 56 onwards, they never lost the lead. Their trio of Nunez, Dirk van Tulden, and the team’s prodigal son Jake Robson barely put a wheel wrong all day and night, and by sunrise, they already had a full lap lead over their nearest competitors. The nighttime hours brought a new challenger near front of the field. TNT Racing’s Paul Darling entered the fight with IRDK and AVA, and as he handed off the #34 car to teammates Benjamin Lindsay and Robert Tinsey, they kept a solid but narrow hold on second place. For AVA, the race became all about survival. Even with their closest foes from Torque Freak dominating, they needed only a sixth-place finish to secure the title. As Cornelis and Ville Ruola made their first appearances behind the wheel for the team and season-long drivers Sven Neumann and Pascal Stix returned to the seat of the #39 HPD, they found comfort running inside the top five and the championship appeared increasingly likely as they clicked off laps. 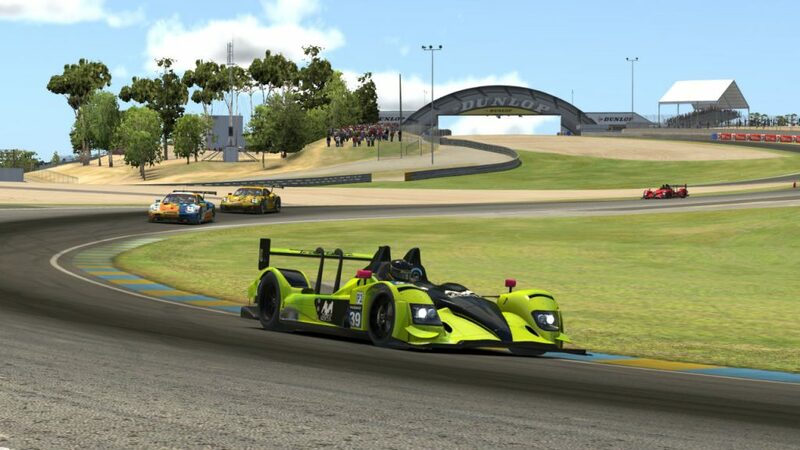 Team Heusinkveld also found their way into top-five contention with their full-season #35 entry, but their invited #42 team who owned the P2 class in the DGFX Racing League wasn’t so successful in their one-off NEO appearance. Team Heusinkveld’s #35 car heads through the kink before Indianapolis. Contact with two P1 cars in a span of ten minutes about three hours into the race landed the #42 car a penalty for unjustifiable risk. In the next hour, they were turned into the wall by a P1 unsafely rejoining the circuit. The final nail in their coffin was a power outage that left the car stuck in the pits, and soon headed back to the garage for good. Apex also dropped out early after their own ongoing issues, including contact with a GT car in the Porsche curves that was met with a penalty. Aside from that, it was a quiet race for P2 teams on the penalty report. That meant the usual suspects largely stayed near the front, joined by a few new names at the pointy end of the field. Most notably, RacingCenter Vib3sports put together easily their best performance of the season. Steven Freiburghaus ignited their rise up the order, moving them from ninth to sixth just after the six-hour mark. From there, teammates Philip Eckert and Louis Klinkhammer were able to keep the car within the top ten and in contention for a higher finish in the final hours. 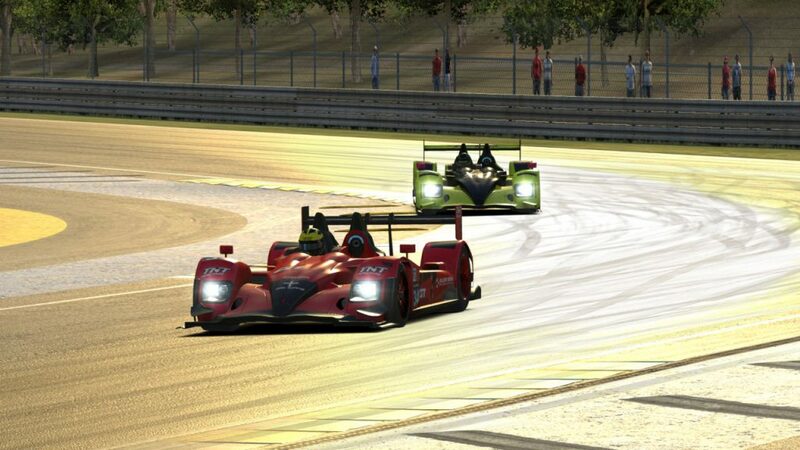 RacingCenter Vib3sports continue their climb up the order by passing Apex Racing Team. The competitive P2 mid-field also didn’t disappoint in this race, and their battle was perhaps even more intense this time around due to the implications in the standings. At least five teams entered the race fighting for two automatic invitations awarded via a top-eight points finish. UI1-Positive SimRacing held one of those spots entering the race, but their fate appeared in jeopardy when they smacked the wall in the Porsche curves around the eight-hour mark. After more than 20 minutes of repairs, they fell from the top five to the back of the top ten. Schubert Motorsport entered the race eighth in points, but the Interlagos winners dropped out after just 70 laps. The fight for that final transfer position then became a heated one that lasted all through the night. World of SimRacing Team surged from thirteenth on the grid into the top ten, making them the early favorite to lock down eighth in points. However, their crash through the high-speed kink before Indianapolis cost them nearly half an hour in towing and repair time, and it also cost them their shot at a top-eight points result. The battle then shifted to Team MAD vs. Inertia SimRacing Corsac, and it was an entertaining one as the race crossed the midway point. Chris Wood and Diogo Melro each took the fight to Ilkka Kattilakoski, putting Team MAD ahead but with the two teams often tied in the virtual standings. As the race entered the final hours, every position would clearly be crucial. Inertia (right) and Team MAD battle on track for a top-eight points position. At the front, Torque Freak was still turning some of the fastest laps in the class as the sun rose and the track heated up. With plenty of speed in the car and a huge lead, they avoided the same sort of late-race upsets that cost them victories at Interlagos and Spa. 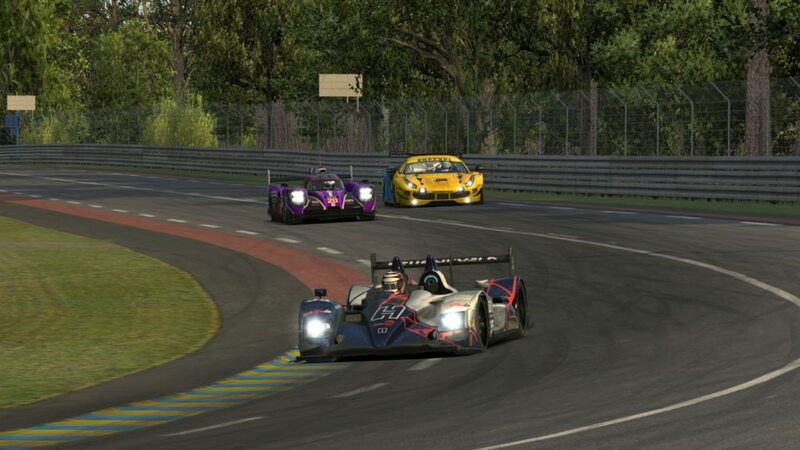 After 24 hours of dominance, the NEO veterans from Torque Freak Racing were rewarded with win at a Le Mans. They had done all they could to challenge for the championship. The question was, had their opponents done the same? Behind them, it was a hectic finish within the top five. IRDK was solidly in second place, but with just three laps to go, third-place Tinsey crashed in the esses, costing TNT its second podium of the season. Team Heusinkveld was the benefactor, with Ronny Fantini passing TNT’s damaged car stopped in the pits to take third. TNT fell back to fifth in the final results. Given their four victories this season, fourth place was an unexpectedly low running position for AVA, but in this race, it was all they needed. From out of nowhere before the start of the season, they became one of the most consistently quick and capable P2 teams the class has ever seen, and they locked up their first series championship by four points. AVA’s Sven Neumann circulates safely in the final laps to secure the series championship. The final top-eight spot in points was secured by the sixth-place finishers from Team MAD, and it was won in a tiebreaker over eighth-place Inertia. Their Suzuka results — fourth vs. fifth — broke the tie, and despite the admittedly long odds for the Finns from Inertia entering Le Mans, it was still a heartbreaking way for the season to end. Between them in the final race results was RacingCenter Vib3sports. Seventh place was easily their best result of the season, and although they didn’t automatically qualify for season six, it gave the rookie team a signature moment in their first NEO campaign. Finishing ninth was the DGFX P1-class champions from Kinetic Racing, while UI1-Positive SimRacing was tenth. For Race Clutch, a season plagued by bad luck, big crashes, and team shake-ups ended in a rocky Le Mans also marred by a crash, which left them in eleventh. 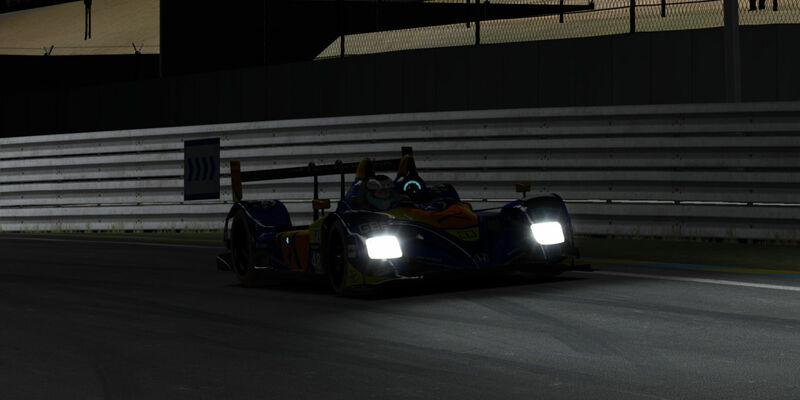 Following their own overnight wreck, World of SimRacing Team was twelfth. 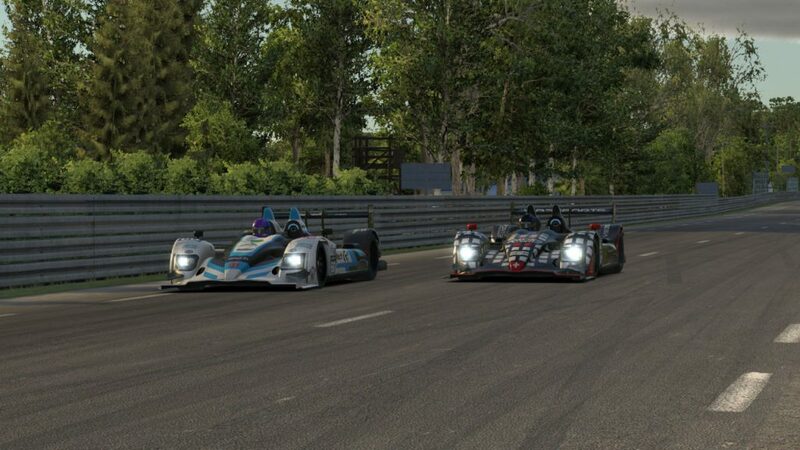 SRN Motorsports and iRacing Today Motorsports were caught up in the same crash in the Porsche curves in the opening hours, but they each kept their cars running until the finish, being classified in thirteenth and fourteenth, respectively. 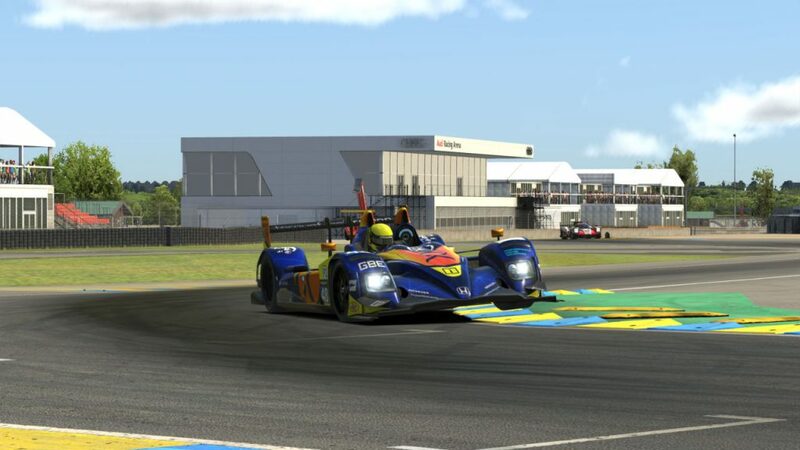 UI1-Positive SimRacing heads into Arnage. An early incident for the RoadBasterds also made for a long 24 hours, but they at least broke their string of two consecutive DNFs with a fifteenth-place result. Behind them were the retirees: Team Heusinkveld’s #42 team, Apex, Schubert, and the Luxsim24 MOATF Podcast entry, which fell out before the end of the second hour. When this season started, few people would have predicted the often-dramatic turns of events in the P2 class. In that sense, Le Mans did not disappoint, with its first-place heroics from Torque Freak, late-race podium shake-up, endurance exemplified from champion AVA, and the duel on the track and in the standings for the final invitation. While they may have been the second-class prototypes on the grid, the HPDs put on a first-class performance all season. For series observers, we can only hope the same players return next season to give us an encore.